By the end of the 70s San Francisco had officially embraced its architectural history. Thanks to Charles Page and San Francisco Heritage, the Downtown Survey written by Michael Corbett and published as “Splendid Survivors,” meticulously researched older buildings and districts. The Downtown Survey served as a model for preservation policies across the US. As the economic boom of the early 80s changed the city landscape with high-rise office buildings and condominiums, the preservation community along with Page & Turnbull would once again mobilize to save the City’s historic character. Matthew Wilder’s classic 1983 song, “Break My Stride” was a perfect description of the decade’s sentiment (check it out on our Spotify playlist!). After a halting beginning, economic promise and development characterized the decade. San Francisco flourished and new skyscrapers dotted the financial district. As the city layered on twisting freeways and parking structures, it began losing its walkability and overall urbanity. The boom included high-rise condominiums in residential neighborhoods, leaving some dismayed at what they believed was a disintegration of the city’s small-scale charm. In an effort to create a more symbiotic relationship between being an international city of commerce and remaining true to its small-scale urban character, the Planning Department released its first Downtown Plan in 1983. The Department, under Allan Jacobs, released its first (and only) Urban Design Element of the city’s General Plan. The Element focused on the physical character of the city and the relationship between people and their environment. The Plan and Element outlined the Department’s vision of fostering building development suitable to the scale of the city while still preserving and protecting historic buildings. 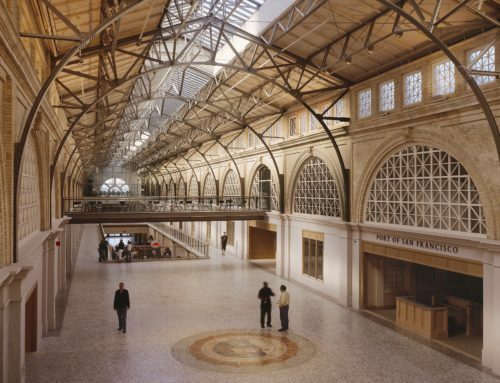 The Downtown Plan was developed by the staff of the Department’s Comprehensive Planning Division; with assistance from the UC Berkeley Environmental Simulation Lab, an AIA design charrette, and The Foundation for Preservation of San Francisco’s Architectural Heritage, chaired by Charles Page. The Plan’s ability to carefully limit commercial growth without stunting it, while simultaneously protecting the historic integrity of its neighborhoods, generated national praise for its forward-thinking provisions. Upon the Downtown Plan’s adoption in 1985, the Board of Supervisors decided that a 950,000 square foot limit on new office space should be adopted annually over a period of three years. Neither developers nor preservationists were satisfied with this – resulting in a battle of voting measures. The eventual resolution was Proposition M, placed on the 1986 November ballot. Backed and fully supported by anti-growth preservationists, the voter initiative made the Growth Cap permanent and cut it in half (to 475,000 square feet). It passed with a slim 7,000 vote margin and was hailed as a great citizen victory – community groups concerned about the future of their city had triumphed over developers, financiers and politicians. Preservationists had once again succeeded in their fight to save the historic character and charm of San Francisco. Not even San Francisco’s preservation community could protect the City from catastrophe at the end of the decade. On a sunny Tuesday afternoon in the City – just as Game 3 of the World Series was scheduled to begin at Candlestick Park – a 6.9 magnitude earthquake struck on the San Andreas fault near Loma Prieta peak in the Santa Cruz Mountains. The earthquake lasted 15 seconds, killed 63 people, and left thousands more injured. Buildings collapsed and freeways “pancaked,” including the double-decker highway running directly in front of the Embarcadero. The City’s face along the Bay was permanently altered. The Ferry Building and piers, that had been cut off from the City, were re-revealed and reconnected to the main downtown and Market Street. With this sudden transformation, Page & Turnbull saw an opportunity to make something old new again and to dust off an iconic piece of San Francisco history. Join us for Part III of our 45th anniversary blog series: Recovering from Loma Prieta and a New Life for the Waterfront. 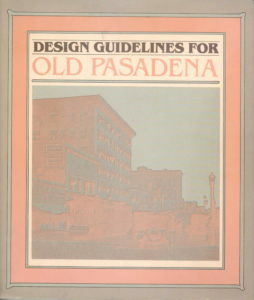 Cover for the 1979 Old Pasadena Design Guidelines. 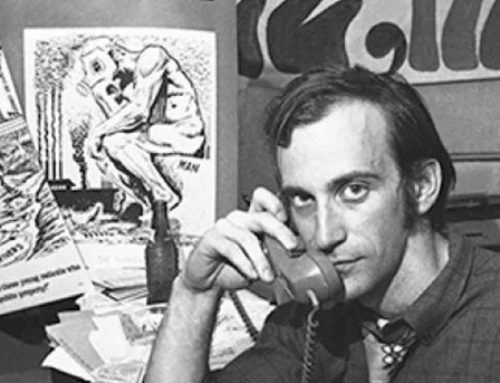 The late 70s and early 80s also saw Charles Page’s influence spread beyond the San Francisco Bay area. 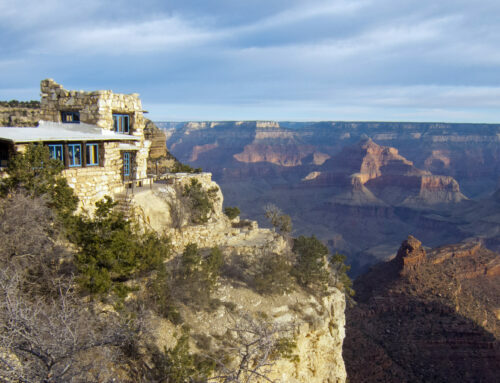 Charles Hall Page & Associates completed historic building surveys for the cities of Santa Cruz, Amarillo, Phoenix and Las Vegas; historic preservation plans for Austin and the State of Nevada; and design guidelines for Old Pasadena. Work away from home continued on into the decade, thanks to associations with organizations like the U.S. General Services Administration – for whom the firm (under the moniker Page, Anderson, & Turnbull) completed historic structures reports for a number of historic federal buildings, including the United States Inspection Station in San Ysidro, the United States Court House in Los Angeles, and the Vista del Arroyo (which was adaptively reused as the Richard H. Chambers Court of Appeals) in Pasadena.